Students love math games and puzzles, but how much are they really learning from the experience? Too often, math games are thought of as just a fun activity or enrichment opportunity. 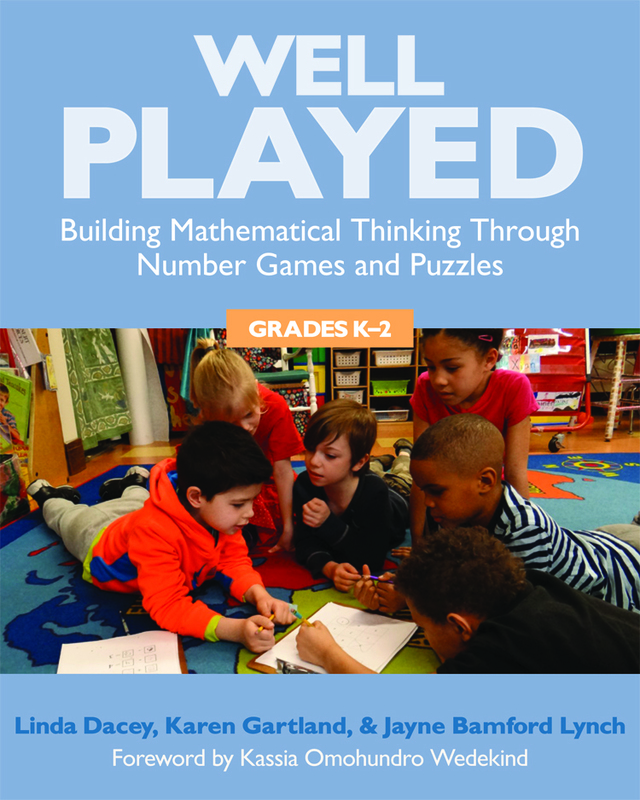 This innovative book shows you how to make games and puzzles an integral learning component that provides teachers with unique access to student thinking. 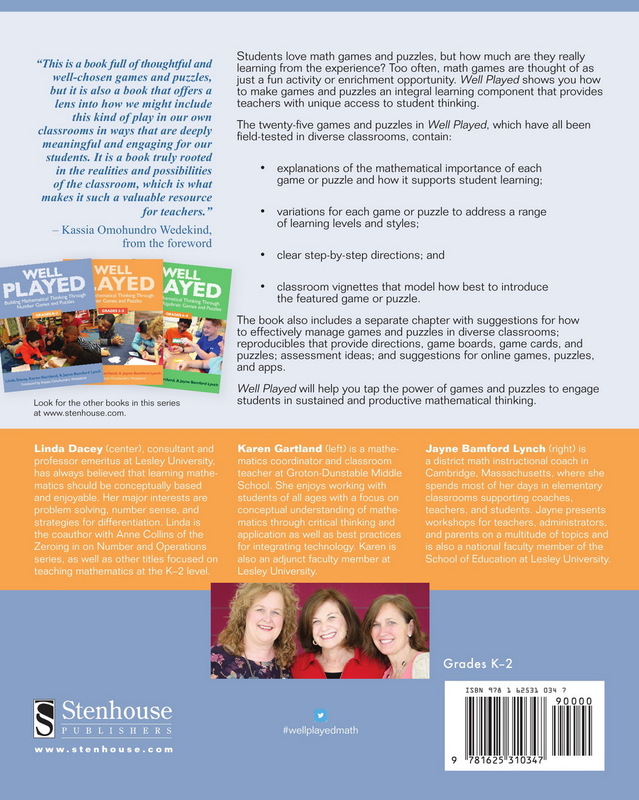 This is a book full of thoughtful and well-chosen games and puzzles, but it is also a book that offers a lens into how we might include this kind of play in our own classrooms in ways that are deeply meaningful and engaging for our students. It is a book truly rooted in the realities and possibilities of the classroom, which is what makes it such a valuable resource for teachers.